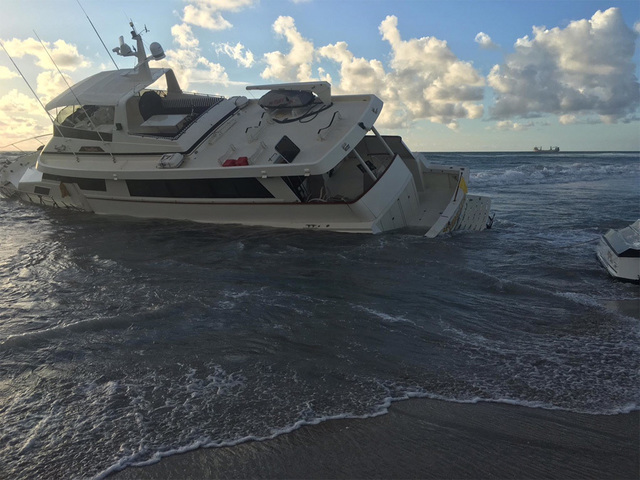 A boater, who said he had been drinking Long Island Ice Teas before the incident, was arrested Wednesday morning after an 72-foot yacht washed ashore in Florida. Thomas Henry Baker, 63, Belle Isle, Fla., told police he "failed to navigate his vessel into the Palm Beach Inlet and ran the vessel into the beach." The 72-foot yacht named "Time Out" was spotted floating at the shoreline right next to the Palm Beach Inlet. Towboat Us responded to the scene to remove the vessel. 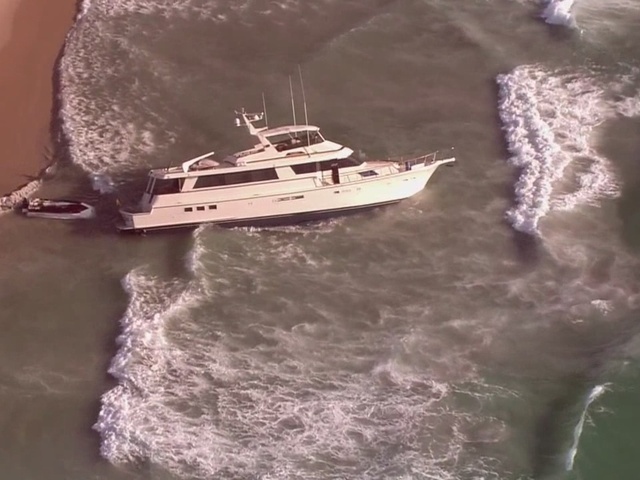 The U.S. Coast Guard said they received a report that the yacht had run aground at 2:15 a.m.
No injuries were reported and no search and rescue effort was organized. The people on the boat were able to walk ashore. Records indicate Baker was booked into the Palm Beach County Jail at 7:03 a.m. and charged with boating under the influence.